Building a screen into the dashboard, any ideas? Inläggsrubrik: Building a screen into the dashboard, any ideas? 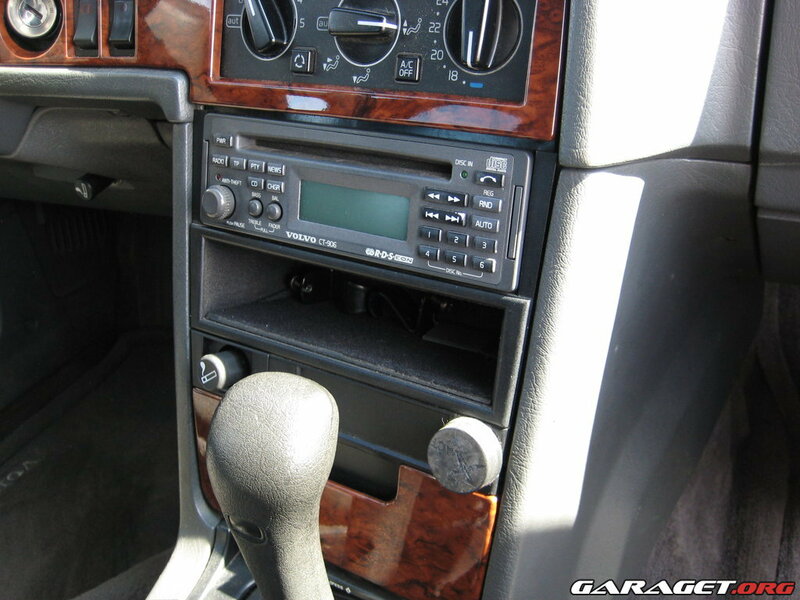 I want to build a double DIN screen into my 945 and hide the electronics behind it. The electronics will be in a "blackbox" about the size of a single DIN radio. The box and the screen will be connected via wires. And there will be two sets of buttons that I will have to place underneath the screen. Mounting the blackbox will probably not be a problem (if it's not too long), but the screen has to be removable so that I can get to the blackbox or the relais inside the 945. But I also have to be able to touch the screen without the risk of the screen falling out. I've tried to think of a solution for this, but haven't had much luck. I want the screen below the knobs for the heating and ventilation and above the ashtray. Do you have a suggestion how I could mount this inside my 945? Inläggsrubrik: Re: Building a screen into the dashboard, any ideas? 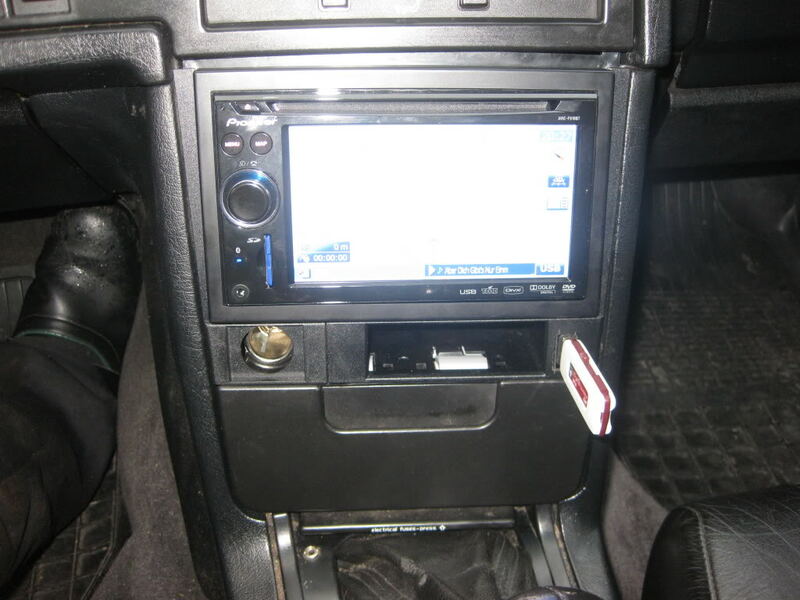 But on the picture (that I borrowed from a Norwegian Forum) you see a radio that is double DIN. What I want to do is use a stand alone screen that is less than 3,5 centimeters deep. The electronics that will controle the screen will be hidden behind the screen. The electronics are in a box that is as big as a normal single DIN radio. Can you post a picture of your equipment? a) The lower part of the 780 frame hits two of the relais on the front row (= closest to me) on the right. That would mean that I have to remove part of the plastic on the bottom of the frame. I can't remember ever reading about it. Did I do something wrong while putting the frame into the space above the relais? b) The space where the 780 frame goes seems to be very tight. I had to use a little force to get it in. I tried a taxi-frame too, it too barely fits, on the lower half of the frame. The top just fits fine. Is that normal? The 780 frame has three mounting holes for screws. The top two are no problem (except on my 780 frame. Someone gave it to me for testing. It's missing some pieces. Like the two top mounting holes ). But does the lower screw use the same hole in the dashboard that the cigaret lighter frame uses in my 940? And what holds the ashtray in its place when the 780 frame is mounted inside the 940?